SYRACUSE, NY (WRVO) – With Lake Ontario’s water levels about a foot above average, communities along its shoreline are trying to get help in preventing the flooding that devastated the area in 2017. 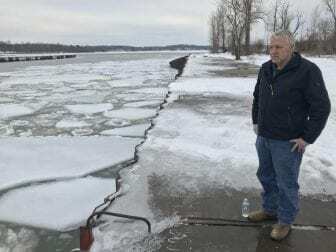 In the Cayuga County Village of Fair Haven, Mayor James Basile recently assessed the latest damage to the village’s West Barrier Pier. The parallel concrete and metal structures help form the channel that guides in ships to Little Sodus Bay Harbor where about 150 properties border the bay. Basile says the pier is also an important safeguard from Lake Ontario. But the pier is collapsing due to years of damage from Lake Ontario, leaving the bay and Fair Haven vulnerable to possible flooding. “What started three or four years ago has pulled away from the entire pier,” He said. “We’ve got about 100 feet of sheet piling that’s linked together that is like a slinky down there. That has got to be repaired – it’s only going to get worse. The U.S. Army Corps of Engineers is conducting an assessment to determine what repairs are needed, but funding to make those changes has not been acquired. But there are other projects in communities along Lake Ontario that need attention as Lake Ontario’s levels rise. 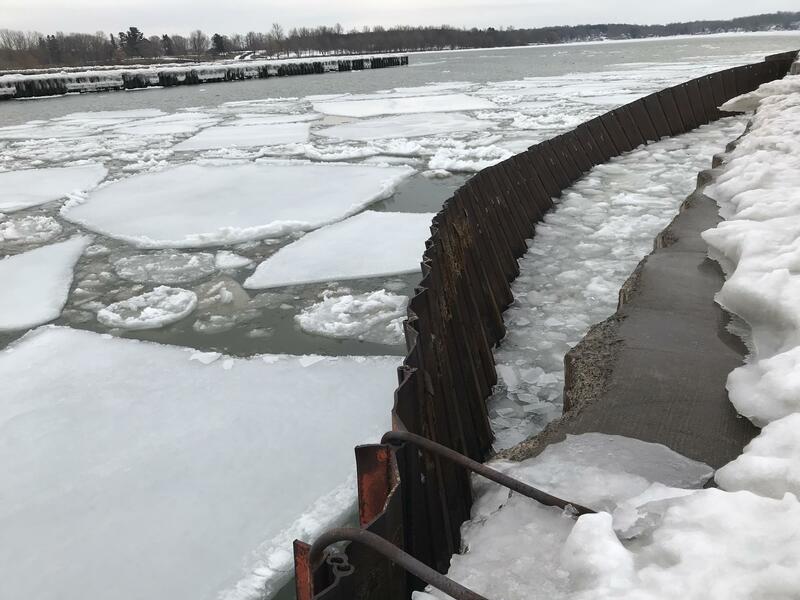 Sodus Point Mayor Dave McDowell says the Wayne County village’s east break wall is deteriorating and has huge holes in it. They have also called on the U.S. Army Corps for assistance in repairing the structure.